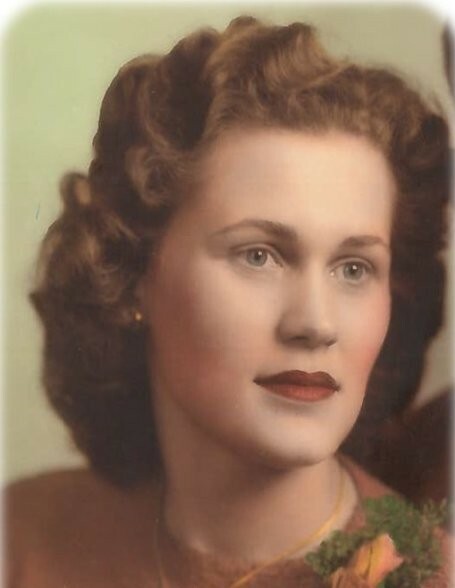 Funeral services for Bonnie F. Kermes, age 87, will be held at 10:00 a.m. on Saturday, April 6, 2019 at Bayview/Freeborn Funeral Home. Rev. John Holt will officiate. Interment will be at First Lutheran Cemetery in Glenville. Visitation will be one hour prior to the service at the funeral home on Saturday. Online condolences are welcome at www.bayviewfuneral.com. Bonnie died March 22, 2019. Bonnie Florence Kermes was born on October 7, 1931 to Walter and Alma Huemoeller. She grew up in Hayward, Minnesota and graduated from Albert Lea High School. On December 24, 1951 Bonnie was united in marriage to Bruce Kermes in Hayward. Bonnie worked alongside Bruce on their farm until moving to Glenville in 1965. She also worked for Albert Lea retailers and worked as a florist in her retirement. Bonnie was a member of First Lutheran Church in Glenville and the Sunset Saddle Club. She enjoyed raising and showing quarter horses, being outside, and taking care of her numerous flower beds. Blessed be her memory. Bonnie is survived by her children, Steven (Shirley) Kermes and Julie (Marty) Vande Kamp; grandchildren, Nicole, Elisa, Joshua, Valerie, Lucas, James, and Veronica; great-grandchildren, Kennedy, Reagan, Ethan, Kiera, Kaden, Gage, Emma, Jameson, and Olivia; and sisters-in-law, Pat Huemoeller and Alice Huemoeller. Bonnie was preceded in death by her husband, Bruce; parents, Walter and Alma; brothers, Robert Huemoeller and Donald Huemoeller; and sister, Lois (Ward) Bergene.